Sometimes when I want a meal with beans I remember the day before and soak my beans overnight. But sometimes I forget to get the beans soaking and remember in the late morning on the day I want to have the ham and bean soup that my beans need soaked. Thank goodness there’s a method for quick soaking beans! 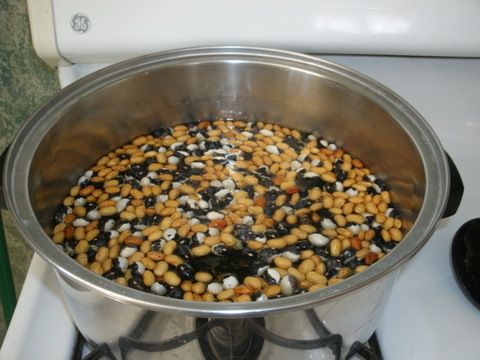 So if you’ve ever needed or wanted to soak your beans a little faster, here’s how to do it. 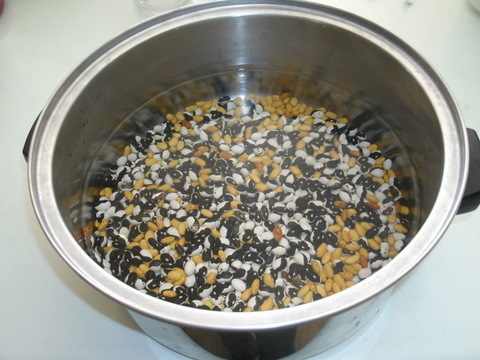 Step 1: Sort and rinse your dry beans to get rid of any rocks or dirt or twigs that may be hanging around in them, then put your clean dry beans in a pot. These are Calypso beans and Hutterite Soup beans from our garden. Step 2: Cover the beans with about 3 times as much water as beans. Step 3: Turn the stove on and bring the water to a boil. Let it boil for 2 minutes. 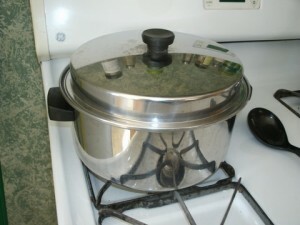 Step 4: Turn the stove off, cover your pot, and let it sit for 1 hour. Step 5: Discard the soak water (you can water your plants with it if you feel like you’re wasting the discard water). 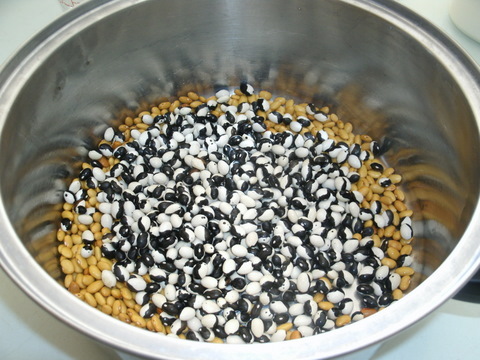 Your beans are now ready to cook as if they had soaked all night. 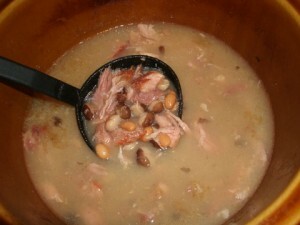 So you can have ham and bean soup using dry beans even if you don’t think about it until 11 am the day you want to eat it! 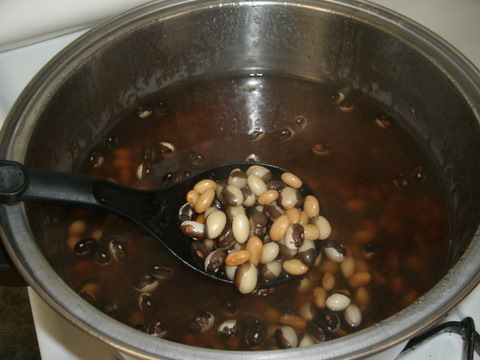 Just do a quick soaking on those beans and get them cooking fast. Love home cooked beans, thanks for the tip! I love this! Although, I have to be honest, since having my instant pot, I use dry means much more! It’s so much quicker!